It does not matter whether or not you stay away from all four-legged animals or if you are an avid dog lover, no one expects or wants to be hurt in a dog bite attack. Unfortunately, people across the nation are hurt in dog bite attacks more than you would expect. If you or someone you care about has been hurt in a dog bite attack injury, it is vital to file a dog bite report with the local Nevada animal control agency right away. Before anything else, you should seek medical attention right away after you have suffered a dog bite attack. This is because a dog bite may result in a serious infection, or even rabies. Your injuries should be documented. The facts and circumstances around the dog bite attack should also be well documented. This should include writing down what happened during the accident, taking pictures of your wounds, and obtaining information from witnesses. Make sure to research your local animal control agency. It may be part of the local Nevada police department, the county’s health department, the humane society, or another entity. Your dog bite report may be filed in person, via fax, or online. Finally, make sure to cooperate with animal control’s investigation. Sometimes a person who is a victim of a dog bite accident does not want to file a dog bite report. There are many reasons for this - the victim is friends with the dog owner, the victim is afraid of the dog owner, or the victim does not want anything to happen to the attacking dog. Nonetheless the law requires -- and law enforcement highly encourages -- that Nevada dog bite attack victims file a dog bite report. These accidents are filed with the local animal control agency for several reasons. First, a dog bite report provides the necessary legal documentation for a later homeowner’s insurance claim or lawsuit. The dog bite report will provide the necessary information such as contact info for the dog’s owner, the animal’s history, as well as vaccination information. Furthermore, an investigation resulting from a dog bite attack will reveal evidence that can be presented to the insurance company or during a personal injury lawsuit. Second, filing a dog bite report will assist local authorities in enforcing state and local dog bite laws. Because a dog bite report triggers an investigation, if the attacking animal is labeled as dangerous the owner may be required to carry special insurance coverage, take on extra precautions for public safety, and may face fines or criminal charges if they fail to comply. Third, filing a dog bite report can help protect other individuals from being attacked, as well. Furthermore, once authorities are put on notice regarding a dog’s dangerous behavior, it will result in extra precautions taken by the dog owner. If the case is more extreme, a particularly vicious or dangerous dog may be put down to avoid future attacks. 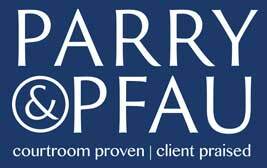 If you or someone you know has any questions about filing a dog bite report, or if you have suffered any other personal injury, contact the skilled Nevada attorneys at Parry & Pfau today. Is it Legal to Eat Dog? In some parts of the world you can find cat and dog meat on restaurant menus. In the US, however, eating this kind of meat can get you into some trouble in certain states. If you have ever asked yourself, “Is it legal to eat dog?” either because you are disgusted or just curious by the practice (and hopefully not into K-9 cuisine), this article will give you some insight. Newer PostIs it Legal to Have an Unharnessed Animal as a Passenger? Older PostAccessing Nevada Public Court Records: How do I Find My Case Online?